This one is a shameless ripoff of an ice cream I've eaten at Sanford, which is the local place I most highly recommend if someone else is paying. I was intrigued by the idea of sour cream ice cream when I saw it on the menu and I figured I would give anise a shot. It blew me away. To make this I first steeped a teaspoon of anise seeds in a cup of heavy cream by heating the mixture just to a simmer and then leaving it for half an hour. Then I proceeded with the custard method using five oz. vanilla sugar, 1 cup sour cream (full fat of course), half a cup of heavy cream, and two yolks. I reserved the heavy cream to stir in after the cooking. 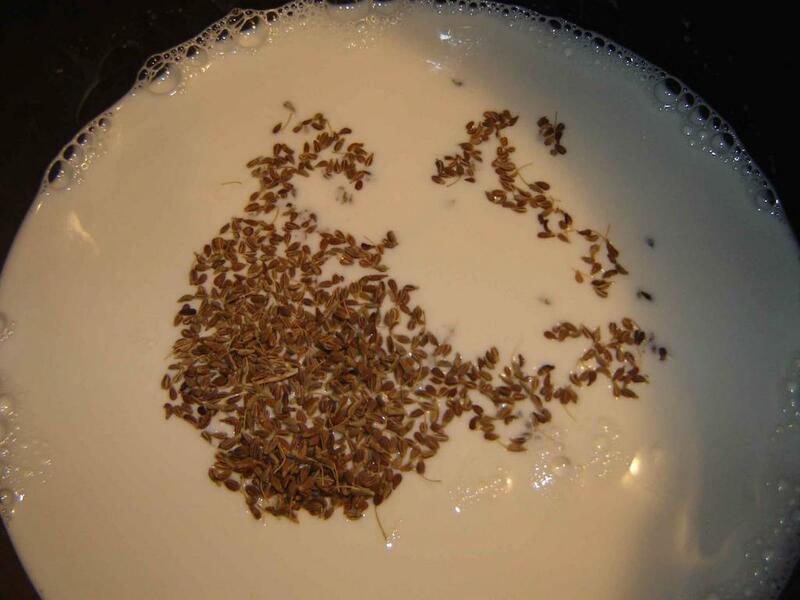 When it was thick on the stove I strained the seeds out and left it in the fridge to chill. As you can see from the paddle, the mixture was very thick. It froze in about three minutes, and I quickly transferred it to the freezer to harden. It scooped beautifully a few hours later and had that gelato/frozen custard texture that pleased me so much in my caramel ice cream: ultrarich, perfectly smooth, no ice crystals on the tongue. The flavors combine beautifully, like natural complements. Like cream cheese and buttermilk frozen desserts, sour cream ice cream introduces a welcome tartness that balances ice cream's sweetness and wakes up the tongue. It's really great. Sanford serves this with lemon pound cake and lemon curd but I can't be bothered to make stuff like that. I take my sour cream anise ice cream straight up. I eat pretty much everything, and I agree with you on star anise, it's just one of those spices that I really dislike. I do like fennel though (the white bulb that many people call anise), and I like many dishes that have star anise present (like meat braises), but where it's not the main flavor. 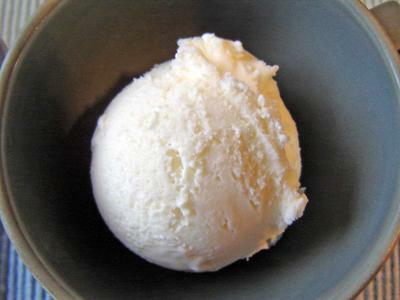 For the ice-cream, did you use star anise, or fennel seeds? They kind of look like fennel seeds to me, but I am not sure. 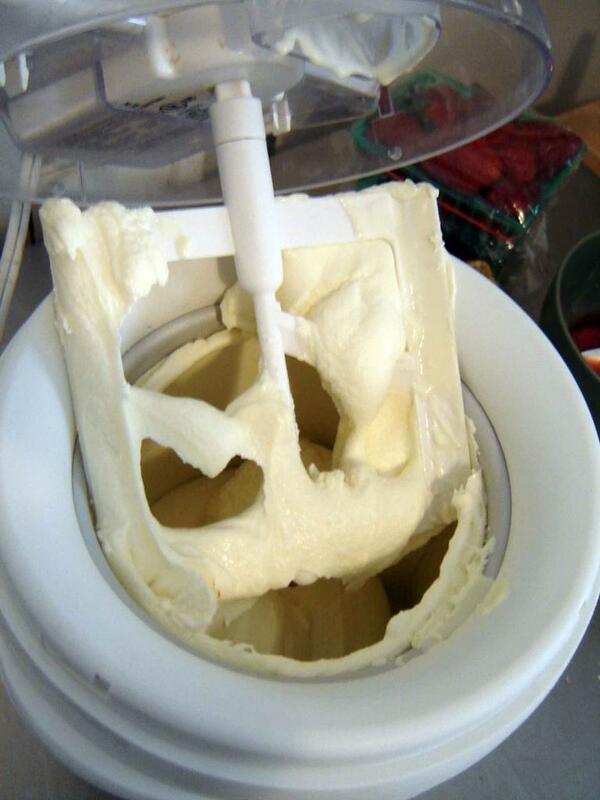 Wish I had ice-cream maker. Do you think it might work as a cheesecake or panna cotta flavor? As far as I can tell, anise, fennel, star anise, and licorice are all different plants with similar flavors. I too have seen fennel mistakenly called anise in the grocery store. According to my reference books, anise is the sweetest and star anise is the spiciest of these. I think it would make excellent cheescake. I don't know about panna cotta (I have never made it) but I don't see why not. Flan or creme caramel (same thing?) would also be good. One of my ice cream cookbooks has alternate instructions for "still freezing" ice cream--you basically make the custard, put it in a container in the freezer, and stir it every hour or two. You can also put it in the food processor or standing mixer when it's partially frozen. I'm going to give it a try one of these days. Looks amazing, your ice cream. Have you ever tried Dutch salt licorice or salmiac licorice? I'll send you a box if you mail me your snailmail address. In Italy they make these kinds of licorice ice creams, not as creamy as American ice cream (which is too bad), but always with very intense flavour. Nice to hear that someone isn't a banana fan. I don't like bananas either. Bananas are the liver of the naughts. You only eat them because they're supposed to be good for you, but I'd rather get my potassium from mushrooms. And as far as firming up poos go, the other 'use' for bananas, I've always been satisfied with the current consistency, which is consistently consistent. How much sugar does your recipe call for? It seems to be cut off..."5 oz vanilla sugar"
hey Emily, thanks for commenting. It's been a while since I made this recipe, but I think 5 oz. is correct. Regular sugar would work if you don't have vanilla sugar, but you might add a little vanilla extract to make up for it.